Alocasia Sting Ray is considered a form of Alocasia Macrorrhiza this mutation seems to have been around for sometime in the Sarawak region. Several forms have been seen growing in the small (Kampongs) villages in the area. I first saw the plant from a collector friend in Thialand where the plant had been getting propagated. The first plants reached America in the early 2000s and instantly became a big hit. The name Sting Ray was a perfect fit the foliage does resemble a sting ray with the wide leaves and often a thin tail like structure. A instant conversation piece it does? 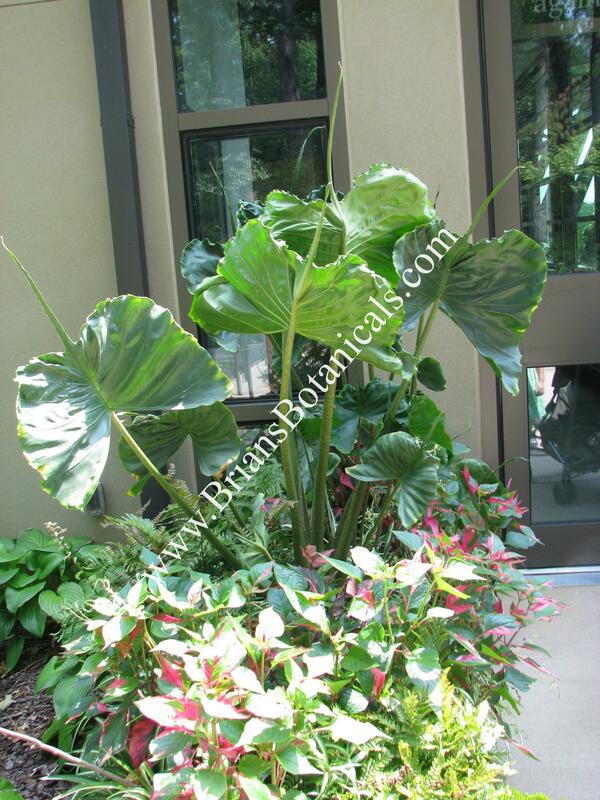 great for larger containers or in the ground in tropical zones. Mature plants can reach over 6 feet tall. If you like odd muations or just really strange and unusal plants this is a must.